Writing a book is very complex. There are so many things to thinks about. Characters, plot, dialogue, tension. The list goes on and on. Recently I’ve been thinking a lot about setting. Setting is where the action of the book takes place. I like to research settings and locations to make sure I get the details right. 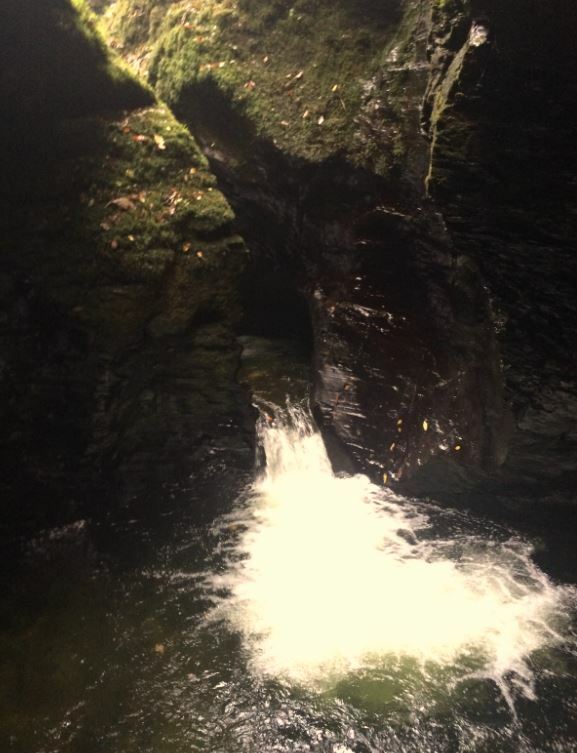 Here are some pictures of Lydford Gorge in Devon. I am determined to set a story here one day. It’s an amazing place with rushing water, steep paths and overhanging trees. At it’s heart is the Devil’s Cauldron a spooky whirlpool formed in the cracks of the rocks. Doctor Who posters on the wall. Battered Buzz Lightyear hanging from he ceiling. Stick collection on the windowsill. I hope you can work out from the description who lives here. Whether they are a boy or a girl and how old they might be. If I described the blue curtains and the beige carpet, you wouldn’t know these things. Sometimes I find myself setting stories in a place I know really well. 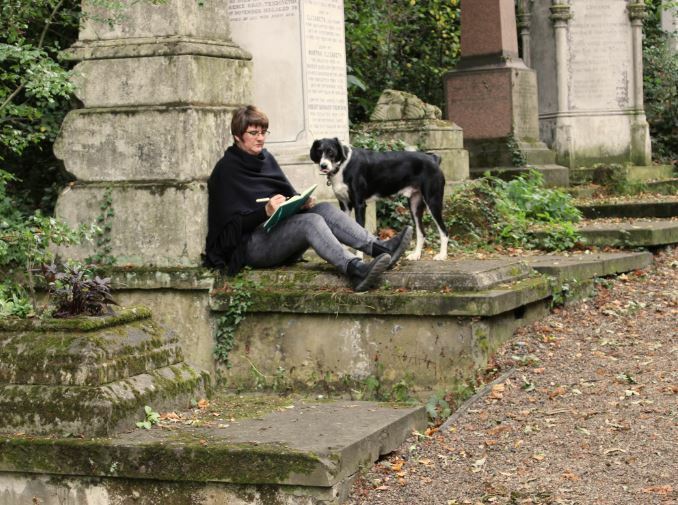 I walk my dog regularly in Nunhead Cemetery in South London. It’s an amazing place. It’s partly a nature reserve but in among the overgrown trees and brambles are all the graves. Most of the gravestones are wonky where the roots of the trees have upset their foundations. Some are huge monuments built as memorials to very wealthy families. I love to look at the names and wonder about who the people were. Occasionally I pick up on a sad story from a memorial. Like the Leysdown tragedy. Nine boys were killed in 1912 when they were on a scout’s trip. Their boat capsized in a sudden storm. What a terrible event, but I don’t find the cemetery a depressing place. I love the tranquility of the wilderness. A rare thing in London. On sunny days I take my notebook with me so that I can write while my dog, Mickey, charges through the undergrowth on the trail of the fox. He is so busy with his nose to the ground that he generally misses the fox who sneaks out of the bushes and skulks passed me to find a safe haven. Is there anywhere special to you, that would make a good setting for a story? Let me know. I am determined to set stories in Lydford Gorge and Nunhead Cemetery, but I haven’t worked out what they are going to be yet. Tags: inspiration, Jo Franklin, settings. Bookmark the permalink. I’m so sorry for your loss. Sounds like the combination of contemplation and social history have been inspiring for you. I look forward to hearing about the story you create from the name on the headstone.